The International Khoomei Festival was not held this year, but in July a throat singing festival was held in the Oviur district of Tuva, which borders Mongolia. The festival was held in honor of the memory of the legendary Khoomei perfomer, Gennady Tumat, who was a native of the area. 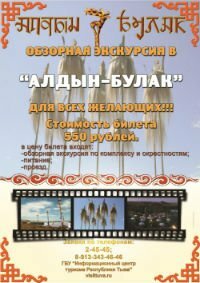 The Oviur festival gathered both Tuvan professionals, as well as beginners and about fifty fans of throat-singing, who came all the way from countries such as Spain, the United States, and Japan. The Japanese delegation was the largest with a total of fifteen performers, led by Koichi Makigami, the organizer of the Association of Khoomei Singers in Japan. Accompanying him to Tuva were his students, among them Fuyuki Yamakawa and last year's winner in the Special Guest nomination, Koji Kijima.